The first thing I did with my very first camera was climb Mt. Fuji. Climbing Mt. Fuji is a lesson in determination and moderation. It would be fair to ask if I took the moderation part to heart. But it certainly was a lesson in respecting your camera. If I was going to live with this thing, I was going to have to think about what that meant. There were not going to be any pictures without it." 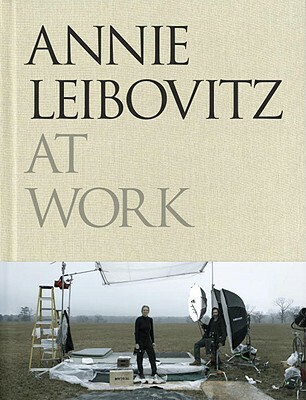 Annie Leibovitz was born on October 2, 1949, in Waterbury, Connecticut. Her father was a career officer in the Air Force and her childhood was spent on a succession of military bases. While studying painting at the San Francisco Art Institute she took night classes in photography, and in 1970 she began working for Rolling Stone magazine. She became Rolling Stone s chief photographer in 1973. By the time she left the magazine, ten years later, she had shot one hundred and forty-two covers and published photo essays on scores of stories, including her memorable accounts of the resignation of Richard Nixon and of the 1975 Rolling Stones tour. She joined the staff of Vanity Fair in 1983 and in 1993 also began working for Vogue. In addition to her magazine editorial work, Leibovitz has created influential advertising campaigns for American Express, the Gap, the Milk Board, and Louis Vuitton. She has worked with many arts organizations, including American Ballet Theatre, the Brooklyn Academy of Music, and the Mark Morris Dance Group, and with Mikhail Baryshnikov. Her books include Annie Leibovitz: Photographs (1983), Photographs: Annie Leibovitz, 1970 1990 (1991), Olympic Portraits (1996), Women (1999), American Music (2003), and A Photographer s Life (2006). Exhibitions of her work have appeared in museums and galleries all over the world, including the National Portrait Gallery and the Corcoran Gallery in Washington, D.C.; the International Center of Photography in New York; the Brooklyn Museum; the Stedelijk Museum in Amsterdam; the Maison Europeenne de la Photographie in Paris; and the National Portrait Gallery in London. Leibovitz has been designated a Living Legend by the Library of Congress and is the recipient of many other honors including the Barnard College Medal of Distinction and the Infinity Award in Applied Photography from the International Center of Photography. She was decorated a Commandeur in the Ordre des Arts et des Lettres by the French government. She lives in New York with her three children, Sarah, Susan, and Samuelle."